On 25 May 2017, the impressive new NATO headquarters in Brussels officially opened its doors, with a ceremony attended by all the government leaders of the NATO countries, including US president Donald Trump. NedZink – as part of the Koramic Investment Group – is extremely proud to have contributed to this impressive project by delivering the titanium zinc for the building. 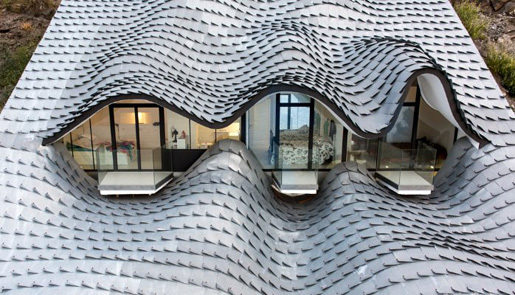 The roof is the largest zinc roof in Europe. The eight wings, each 200 metres long and 18 metres wide, and the seven connecting parts are covered with an astonishing 35,000 m2 of sleek NedZink NOVA Pro-Tec standing seam bays. These zinc bays (each 26 metres long), were profiled directly on site. It took three years to complete the construction of this enormous roof – a perfect example of the craftsmanship of the Dutch company Ridder/Skins for Buildings. The BAM Alliance consortium was responsible for the construction of the 250,000m2 new NATO headquarters, based on a design by SOM and the Belgian ASSAR Architects. The intertwined wings symbolise the unity and collaboration of the alliance joining forces for a better future. At NedZink, quality and service take centre stage. In this project, very high standards were set for the quality and processing of the products used. As a result, NedZink is extremely honoured and proud to have contributed to the construction of this new NATO headquarters in Brussels. NedZink have produced a case study with photographs which you can download below. Read the full case study to get the whole story. Thinking about specifying metals on a large project? Talk to the experts! Call SIG Zinc & Copper on 0844 443 4772 or complete the contact form. Read more about NedZink products here. Visit the Architect’s page on the project here(SOM) and here (ASSAR) which include more information about the development of the project. NATO produced a pdf factsheet in 2017 about the project.